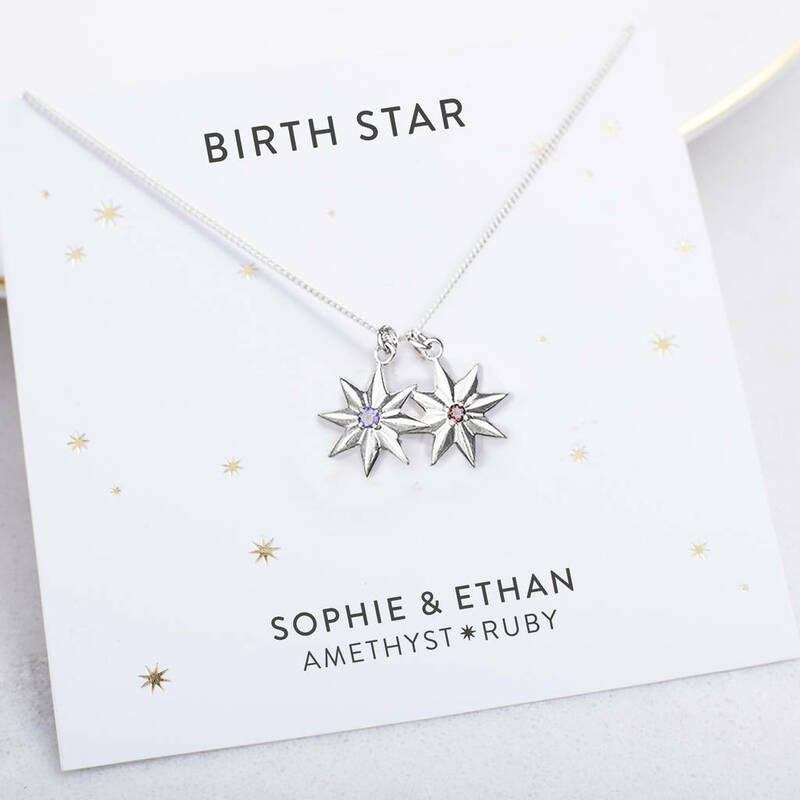 A stunning necklace with your choice of stars, each one beautifully set with a birthstone on one side, and engraved initial on the other. 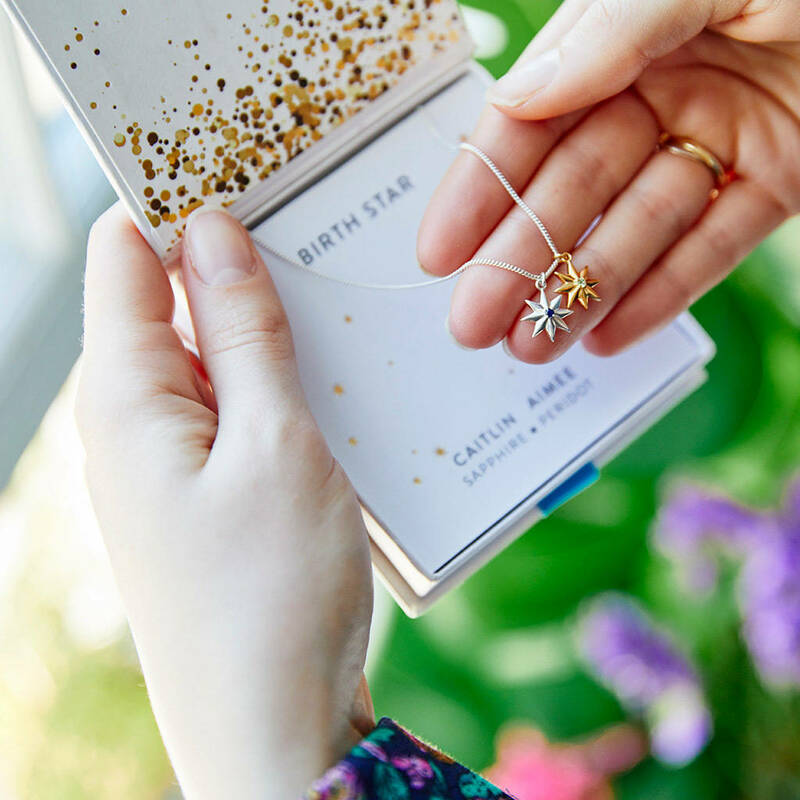 Made in sterling silver or 22ct gold plated sterling silver, the stars are available in twelve different gemstones. Each stone represents a different month of the year, and the birthday of you, your child or children, and loved ones. 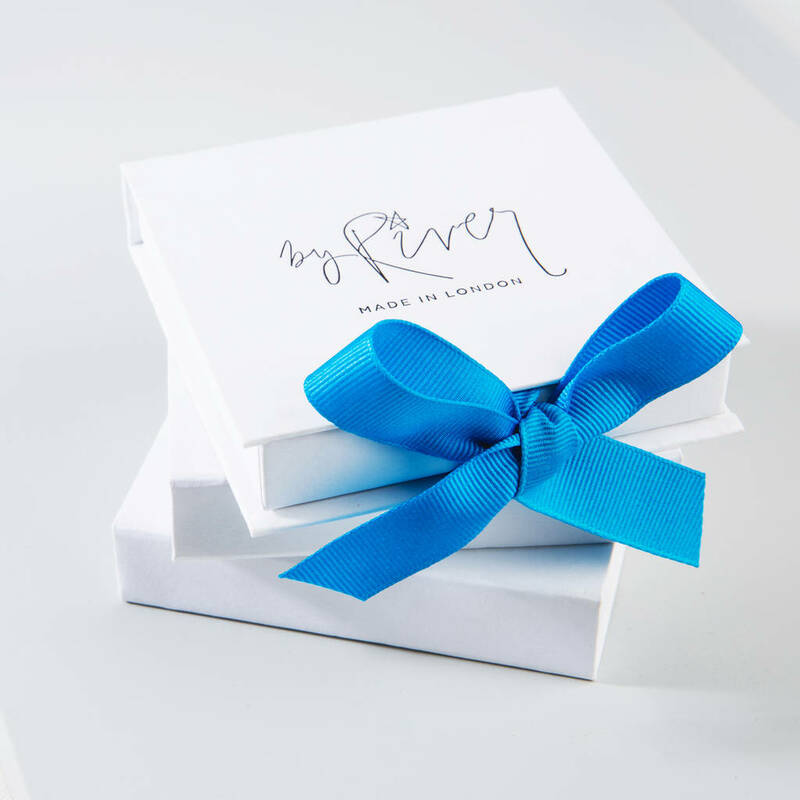 The necklace will arrive presented on a beautiful gold foiled card, and in one our luxury branded gift boxes with satin ribbon tie. Choose from silver or gold stars, the initials for engraving and names for the card from the drop down menus. 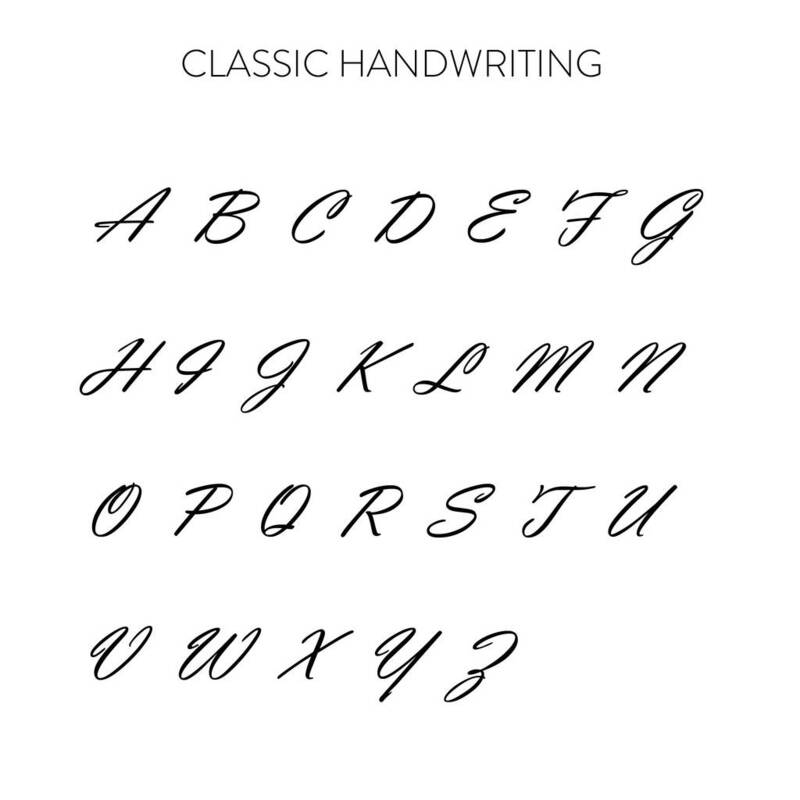 The engaved initial will be in upper case, and we are only able to engrave letters, no special characters. This necklace is made-to-order and a truly personal piece and as such it is non-returnable and non-refundable. The birth stars are precious and semi-precious gemstones. 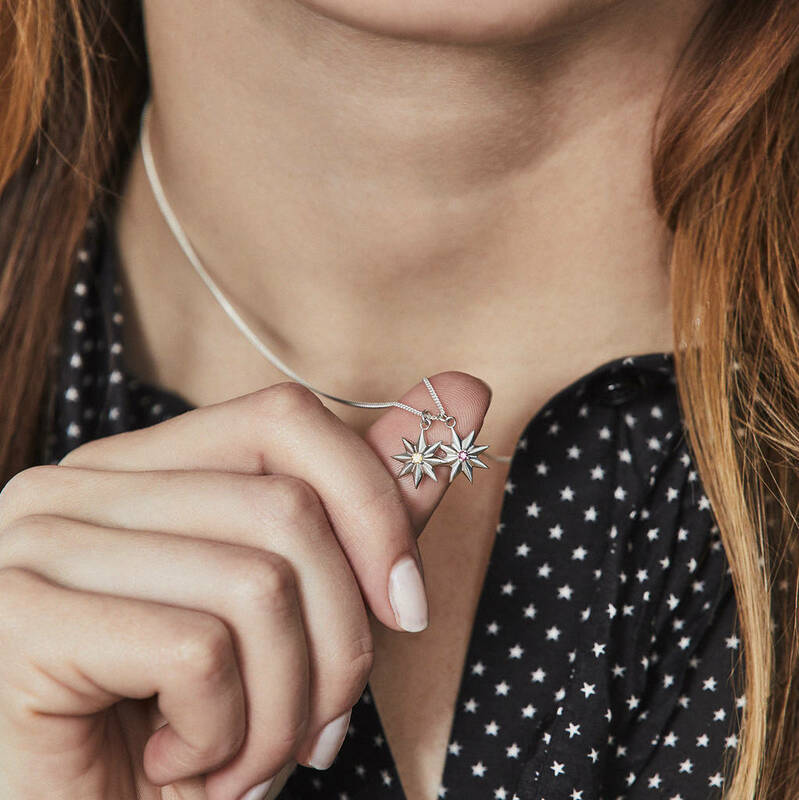 Necklace chain is sterling silver and for the stars you have a choice of sterling silver or 22ct gold plated sterling silver. Necklace 46cm and the stars are 1.2cm in diameter. This product is dispatched to you by By River.